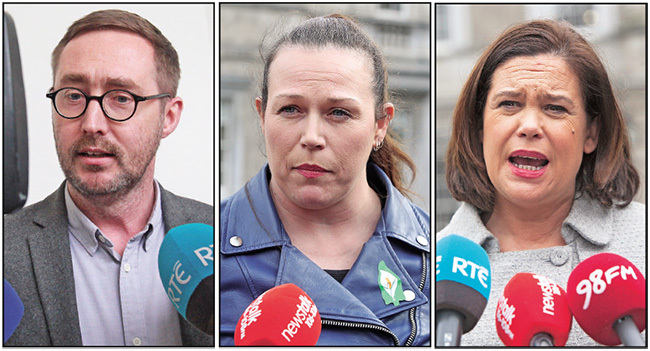 FIANNA FÁIL refused to back a Sinn Féin motion in the Dáil on 25 May to scrap water charges, abolish Irish Water and set a date for a referendum to enshrine public ownership of Ireland's water infrastructure in the Constitution. During two days of heated debate in the Dáil chamber, Fianna Fáil leaders found themselves all at sea as they tried to justify their support for the continuation of water charges with their very clear election manifesto commitment to scrap water charges and abolish Irish Water. 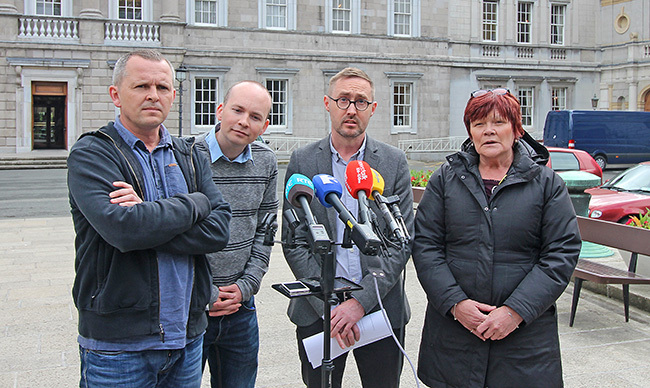 Moving the Sinn Féin motion – supported by 39 TDs including the Anti-Austerity Alliance/People Before Profit, the Social Democrats, Independents4Change and others – Eoin Ó Broin said deputies had “the choice to listen to the will of the people and scrap the charges”. Anti-Austerity Alliance TD Mick Barry singled out “Endapendent” TDs Finian McGrath and former Workers' Party representative John Halligan for a particular grilling. 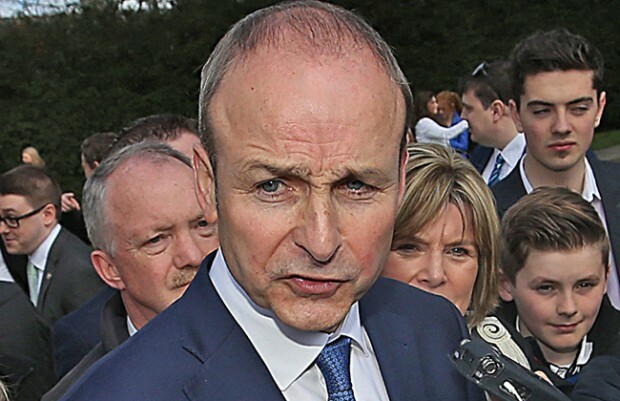 Both are now propping up the Fine Gael administration as Ministers of State, something which Barry described as “crossing the line” before hitting out at their attempts to “derail a motion supported by the anti-water charges movement of which they were once part”. Next came a bizarre contribution from Fianna Fáil Meath West TD Shane Cassells in which he suggested Sinn Féin should thank Fianna Fáil for temporarily suspending water charges! He went on to decry the fact that Fianna Fáil is being subjected to “sniggering and insults” because they have “taken their mandate and actually brought something constructive to the table and delivered”, resulting in a barrage of criticism from the benches of anti-water charges TDs. During the second day of debate, hundreds of protesters gathered outside the gates of Leinster House to urge TDs to support the motion. Former Environment Minister and water charges aficionado Alan Kelly of Labour – who said the scrapping of water charges would be “political, economic and environmental sabotage” – was jostled by some protesters as he made his way into the Parliament. Fianna Fáil's Timmy Dooley used his speaking time to attempt to justify his party's U-turn but ran into extreme difficulty as he appeared to not have enough speaking notes to fill his slot. The Fianna Fáiler whinged that Sinn Féin had sought to “pour cold water on what has been achieved by Fianna Fáil” and described such criticism as “disheartening”. There was more commotion in the chamber when Fine Gael Minister for Public Expenditure and Reform Paschal Donohoe claimed that by scrapping water charges money that could be used for hospitals, primary care centres and infrastructure projects would be lost. The Sinn Féin deputy leader went on to highlight the much more substantial loss to the Exchequer if Fianna Fáil and Fine Gael's plans to slash the Universal Social Charge to disproportionately benefit the wealthiest in society go ahead. The Sinn Féin motion was defeated by 59 votes to 38. 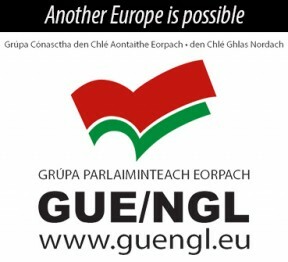 Fianna Fáil and Green Party TDs abstained from the vote.